The writings of Ryne Douglas Pearson and Noah Mann. 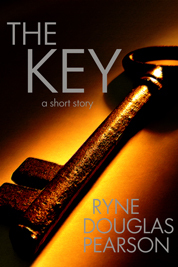 Note: The Key is a short story (approximately 2,300 words), and is included in the collection Dark and Darker. If you own Dark and Darker, you already have this story. Jason Riley’s wife was brutally murdered. When he comes across evidence that the police missed, he plans his own unique brand of justice for the killer.